The 5 lb. 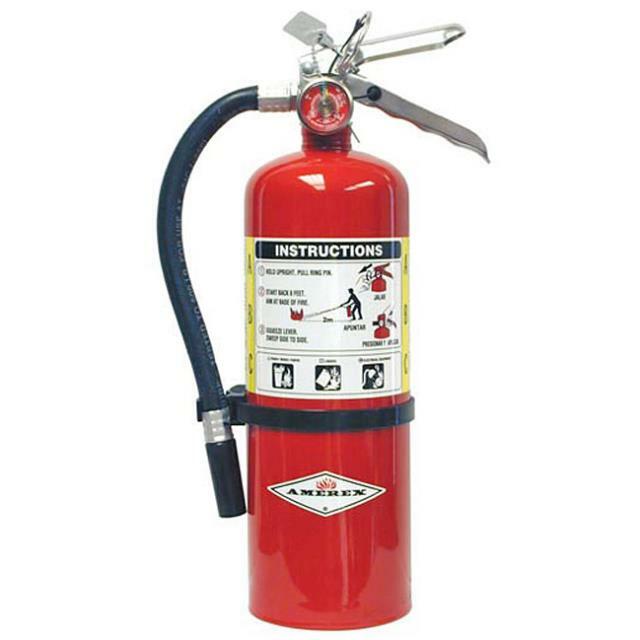 multi-purpose fire extinguisher is UL listed for use on class A, B & C fires. These ABC Dry Chemical Fire Extinguishers are ideal for home, garage, work shops, apartments and businesses and in tented events. Quickly extinguishes small fires on contact. * Please call us for any questions on our fire extinguisher 5.5lb abc dry chem rentals serving Corvallis OR, Albany OR, Salem OR and surrounding areas.